I kind of hit a wall with this episode of The Punisher, which could be a result of some binge-review exhaustion, but I think is more so a result of this season’s frustrating structural choices. As many of these Marvel Netflix shows have done in the past, this season of The Punisher weaves in two different antagonists to try to give its heavily serialized 13-episode run a little more narrative momentum. It’s smart choice in the abstract, but, in retrospect, I have to wonder if The Punisher put its focus on the wrong one. 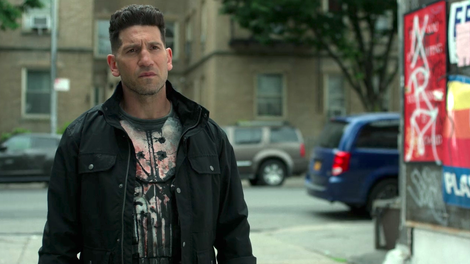 Despite really enjoying the past two Billy Russo-focused episodes, it feels like The Punisher has pretty much run out of steam in his narrative, even as it doesn’t seem to show any signs of slowing down on the Billy-related stuff. Frank once again ends this episode with a promise to take down his old friend. Meanwhile, John Pilgrim is still largely hanging out to the side, waiting to get interesting, even as the number of episodes left in the season just keeps dwindling. I have to wonder if this season might’ve been stronger if it had positioned John Pilgrim as its main antagonist with Billy Russo as its secondary one. That’s not a knock on Billy as a character and certainly not on Ben Barnes as a performer. 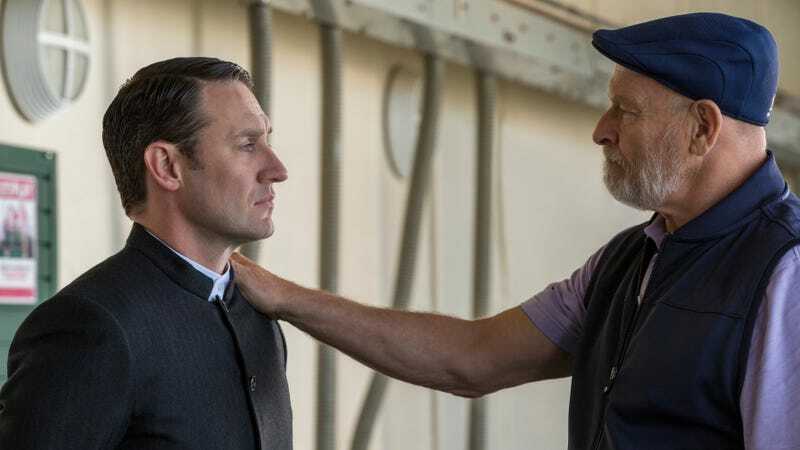 But because we’re already so familiar with Billy’s story, this season could’ve streamlined his narrative to focus on the stuff that really works (his thrillingly tense confrontation with Madani) and trim the stuff that doesn’t (everything with Dr. Dumont). I’ve been fascinated by the way Bill’s amnesia storyline has allowed him to become a sort of objective observer towards his own past, but because we already know the pieces and we’re just waiting for Billy to put them together, there’s only so much narrative road to work with there. Especially because the single biggest hook for the amnesia story—the idea of watching Billy grapple with his role in the death of Frank’s family—is brushed over way too easily in this episode. Billy briefly struggles with the reveal, but almost immediately recontextualizes himself as the real victim because he thinks it’s unfair that Frank got his revenge via dishonorable maiming rather than honorable murder. It’s not unbelievable that Billy would find a way to compartmentalize his guilt about the Castles’ murder, but it’s also the least interesting narrative choice the show could make. In a world where this season reduced Billy to a smaller role, it also would’ve had time to fill in the blank slate that is John Pilgrim. After a two episode absence, “Flustercluck” finally starts to shade in his backstory a bit. He was a riotous member of a white supremacist gang in New York until 12 years ago when he ran off with their payday, had car troubles in a small town, and wound up finding God after landing in jail for bar fight. There’s quite a lot to unpack in that story, but this episode just lays out the thinnest of frameworks as John comes back into contact with some of his old “colleagues” after Anderson orders him to put out a $5 million city-wide bounty on Frank and Amy. Hopefully the next four episodes will finally make John feel like a vital part of the season. I’m just not entirely sure why The Punisher decided to wait so long to do that. On the other hand, even if this season had put John Pilgrim front and center, it still would’ve had a structural problem when it comes to Amy. Part of the reason Amy isn’t really working as a character is because she’s so detached from this season’s ongoing narratives—not only the Billy stuff (to which she has no connection at all), but also to the John Pilgrim stuff as well. She has no emotional connection to John or the Schutlzs, nor any investment in those photos she’s carrying around. She was just a gutter punk kid with the bad luck to get mixed up with the wrong people. She’s stuck around this season solely because of her relationship to Frank, yet the show has also put that relationship on the backburner as Frank has gone off in pursuit of Billy. It takes that $5 million bounty for Frank and Amy to spend some quality time together in this episode, and that only happens after she runs off and gets herself into trouble. There’s some good stuff towards the end of this episode once Frank comes to rescue Amy and she gets to put her disarming skills to the test. But the strength of that sequence also serves as a reminder of how much the season has underutilized the Frank/Amy dynamic and how one-note Frank has felt lately. Last season was smart about constantly putting Frank in different environments to highlight different aspects of his personality—from his strange friendship dynamic with Micro to his warm relationship with Micro’s family. This past string of episodes has kept Frank largely in Punisher mode, a mode Bernthal is very good at playing but one that doesn’t let him show off his full range. Frank’s opening monologue about having been The Punisher long before his family died doesn’t inspire much confidence about this season delving back into various sides of his personality. “Flustercluck” is a weak episode all around, one with too much wheel-spinning and some really lackluster dialogue. The clunky scene between Anderson and his son David is a real low point, as is the scene where Curtis rallies his group of good veterans to help find Billy’s Boys. A couple of episodes ago, I was excited about Madani finally taking a moral stand, but now she’s back to being totally wishy-washy. I don’t understand a single thing about Dr. Dumont’s motivations, nor do I understand how quickly she’s flipped from a supportive therapist to a criminal accomplice who wants to run away with Billy. “Flustercluck” aims for thematic cohesion in discussions of faith—the faith John feels in God, the faith Anderson feels in himself, and the faith Curtis finds in the military. Unfortunately, it’s all too shallow to add some much needed depth to this poorly structured outing. Billy’s apartment raid was really upsetting to watch—arguably the most gruesome gun violence this show has ever depicted. It’s also strange that you could probably cut all the blood and put that exact same sequence in a PG-13 movie. The perfect distillation of Frank Castle as a character is when he delivers a kill shot just so Amy won’t feel bad about shooting someone. That’s our lovable psychopathic dad! So I guess all of Amy’s non-swearing was just to set up this episode’s title? I enjoyed the scene where six people try to gang up on Frank and he just immediately shoots them all. I assume Billy’s Boys call their hangout Valhalla because Thor is their favorite Avenger. This episode reveals that John used to go by Robby, which isn’t actually a reveal because I’m pretty sure the show has never actually said John Pilgrim’s name out loud. Last summer’s The Spy Who Dumped Me already did the “carrying around a guy’s thumb to unlock his phone” gag. I know that the “14” tattoo is a white supremacist symbol. I’m assuming Kusack’s other tattoo (the one John has as well) also has a neo-Nazi connection. I tried to figure out its meaning when we first saw it on John, but it’s kind of hard to Google a tattoo.